KSEC is a professional learning community at its core. It was founded by teachers, it is governed by teachers and teachers deliver its programs. KSEC teachers are generally young. At regional events it is sometimes hard to tell who is a teacher and who is a student. They are usually new to both teaching and the north. Currently all of our secondary school science teachers are non-Inuit and most lack Inuktitut language skills and intimate knowledge of the Inuit culture. Many teacher-members move on after 2-3 years, but some stay and quickly make the transition from bewildered rookie to confident mentor and this has helped KSEC to maintain a great mixture of urgency, energy and creativity. Since its formation in 1994, KSEC has had less than 100 different active members. 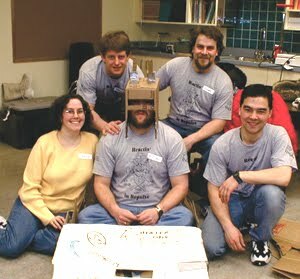 However, from this group there have been several recipients of the Northwest Territories and Nunavut Association of Professional Engineers & Geoscientists– Science Teacher of the Year Award and two Prime Minister of Canada Award winners. As was noted by KSEC founding members, Kivalliq secondary school science teachers are isolated. In many of our communities, they are the only science teacher on staff, and they often do not have specialist training in science education. Kivalliq schools are geographically isolated with no road network and expensive air service as the only transportation option. All of our communities have internet access, but most schools have poor bandwidth. Professional development opportunities are rarely science-based as all teachers in the same school are compelled to take their professional development at the same time. That is, the school is shut down for a week while teachers take part in professional development activities. Choosing a time to shut down a school is a staff negotiation and so the dates rarely, if ever, coincide with a National or Provincial Science Education conferences. These factors compound and magnify one’s sense of isolation. Ironically it is this very sense of isolation that compels many teachers to join KSEC, buy into its collective mission, and support its programs. If a sense of isolation brings KSEC its members, what does KSEC provide to these teachers that keeps them engaged and nurtures their growth? Why do you volunteer your time for KSEC programs? What have you gained personally and/or professionally (if anything) from your participation in KSEC? Their answers are categorized and presented in their own words below. Member teachers feel that they have grown professionally or gained confidence from their involvement in KSEC. Bonding with Students Bonding with students was seen as positive result that teachers identified they received from participation in KSEC programs. Most respondents credited KSEC and/or KSEC programs with providing them with an orientation to the cultural context of the Kivalliq. One respondent mentioned leadership development as a positive result of participation in KSEC and specifically identified KSEC adherence to IQ principles as facilitating this development. This was an interesting idea for me. I had always felt that KSEC developed leadership in its members and worked hard to incorporate the IQ Principles into its programs, but I never considered a connection between the two. Now it seems obvious. Since the Government of Nunavut adopted the IQ principles, KSEC has endeavored to make them foundational to its programs, however, it never consciously applied them to the governance or leadership of its organization. This has happened more by default than design. The Principles of Inuit Qaujimajatuqnagit are leadership principles that well serve an isolated collective that needs to learn quickly, efficiently, and adapt to survive. While KSEC’s context is no where near as dramatic as that from which the IQ principles evolved, it does share some similarities. As an isolated collective, KSEC, by necessity, adopted leadership and governance principles that strengthened its group. KSEC’s respect and care for members has resulted in strong relationships among members and between members and their students. KSEC’s attempts to make its organization and programs inclusive have resulted in trust and camaraderie among its members. KSEC’s charity status has made fundraising possible and program development autonomous but it has also ensured that KSEC be driven by volunteers who believe in its mission. KSEC members log many days of volunteer service developing and delivering KSEC programs. KSEC operates almost exclusively by discussion and consensus and this contributes to the cohesion of the group. Experiential learning or baptism by fire, as some have referred to it, is evident in all of KSEC’s programs. Members watch, learn, do, and teach in quick succession. Many extend the progression to include “develop” as they originate their own innovative programs for KSEC or back at their schools. KSEC programs would not get off the drawing board was it not for cooperation and teamwork of its members. Program delivery requires a group that can rely on its members. KSEC encourages its members to be innovative and resourceful and this is readily apparent in the programs and events developed by members for KSEC and Kivalliq schools. KSEC’s Science Culture Camp does provide members with an opportunity to learn from Elders on the land to better appreciate this strong connection. Respect and care for the environment is something that KSEC promotes as responsible science teachers. On a broader level. environmental stewardship aims for sustainability and KSEC’s programs have been sustainable for seventeen years. Some former participants now work in our schools and deliver KSEC programs and children of former participants are now participants themselves in our elementary schools. For KSEC, what began as an attempt to increase the relevance of its programs for students has also resulted in nurturing leadership among its members. KSEC has sustained itself over the years for many reasons. There is a steady stream of new, young teachers feeling isolated and insecure about teaching science who are drawn to the security of KSEC’s collective. These same teachers provide the energy and enthusiasm that power the programs. The collective builds relationships among teachers as skills and knowledge are shared and learned. Most teachers move on after three or so years and are replaced by fresh teachers who repeat the cycle and renew the organization. Those teachers who stay, assume leadership positions within KSEC or within their schools, their communities, or the teachers’ association. However, if organizational sustainability depended only on a proper ratio of new and experienced teachers, organizations like KSEC would be quite common throughout the North. Sadly they are not. The support given by the Department of Education, through Kivalliq School Operations cannot be underestimated. By allowing a program consultant the time to attend to the details of funding proposals, reports, archiving, and resource orders and distribution, KSEC, with its small membership, has been able to continue on when key individuals leave the organization. Without this constant, institutional support from Kivalliq School Operations, KSEC would lose its continuity and soon unravel. I realise that this is not a research study and that my opinion has only been corroborated by a group of individuals that subscribe to the same mission as I do. 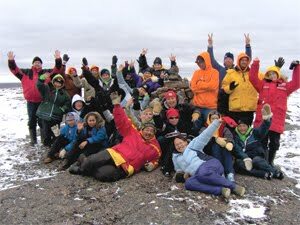 However, it is clear that the Kivalliq Science Educators Community has demonstrated leadership in youth science engagement program development and delivery and that its members have grown as leaders through their development and delivery of and participation in KSEC programs. Participation in KSEC has networked and mentored teachers and provided them with an introduction to the cultural context of the Kivalliq. Relief from isolation attracts new members to KSEC and combined with program independence has created a collective autonomy that helps to drive the organization and connects program development with leadership. To survive independent collectives require principles of governance and leadership that strengthen the group. Inuit Qaujimajatuqangit has provided KSEC with such principles. During the course of writing this paper my understanding of the dynamics of this leadership development has evolved. 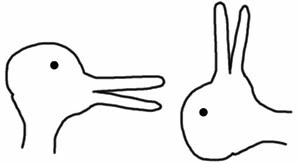 It was similar to the optical illusion of the duck and rabbit. Before writing the paper, the connection between program development and leadership was clearly a duck. The autonomy of teacher-driven program development created leadership in the product as well as the producer. After my small survey, an unforeseen comment linking IQ principles to leadership development had changed the duck into a rabbit. Culture or specifically, Inuit Qaujimajatuqangit, was the missing link between leadership development and program development. However, as you may suspect from the analogy, it is really both. Teachers are drawn to KSEC’s autonomous collective, which in turn is sustained by the principles of Inuit Qaujimajatuqangit. 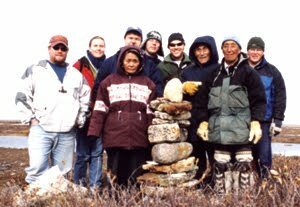 It is my conclusion that for KSEC, the nexus between program development and leadership is collective autonomy and culture, specifically Inuit Qaujimajatuqangit.